Me – oh hey! yeah, just the 2 boys. 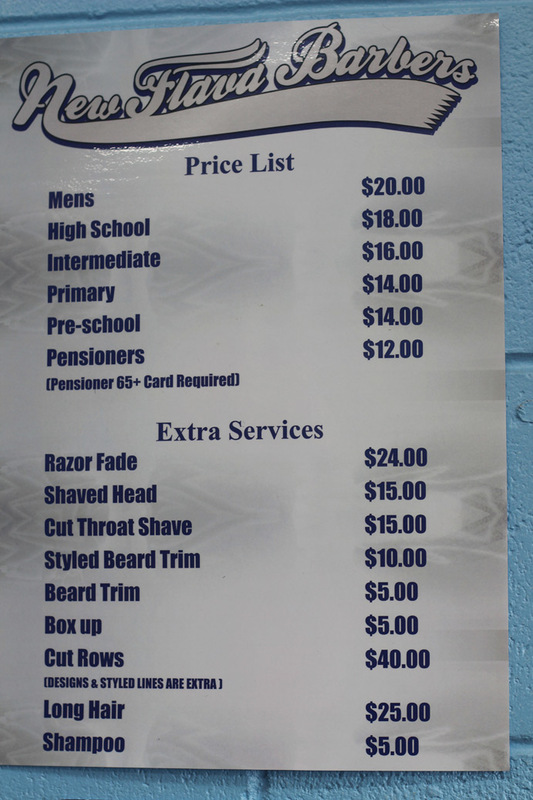 I’ve been taking my kids to New Flava Barbers for at least the last 4 or 5 years now & they’ve had most of the boys hair styles done there over the years – fades, lines, mohawks, mullets – you name it. Both my kids love getting their hair ‘did’ at New Flava & I no longer have to tell them they need a cut, they ask me to take them now lol! 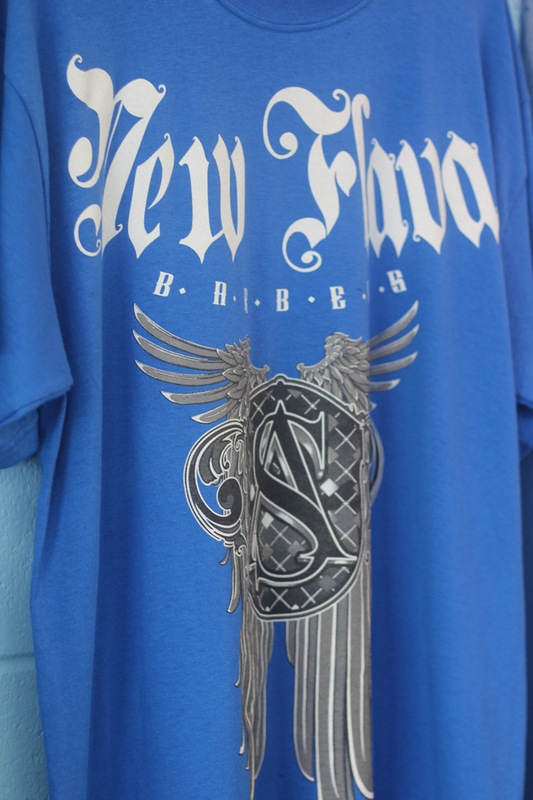 The atmospheres always great down there too – good music mixes always up nice and loud, cool New Flava tees & hoodies for sale (yup I have me a hoodie) & lively convos often going on between the barbers and their clients. 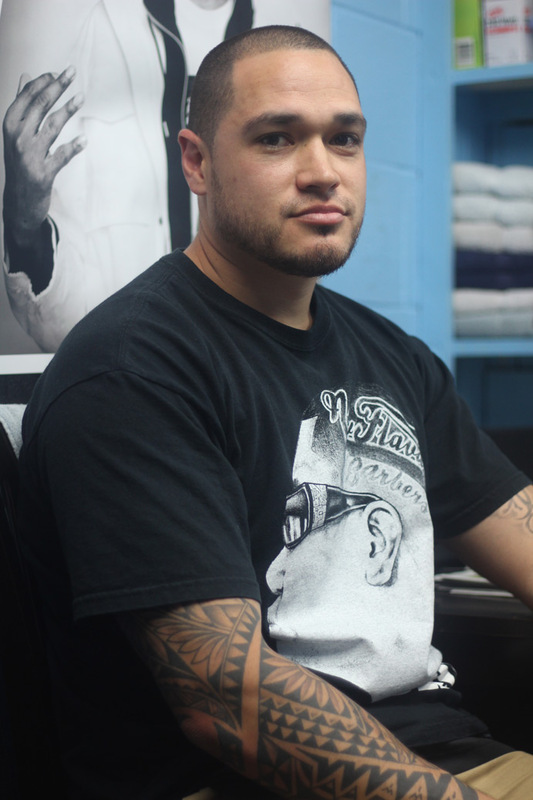 Have definitely been curious as to how he got started, how he came to running & owning his own business & how he came to be cutting the likes of The Games hair! 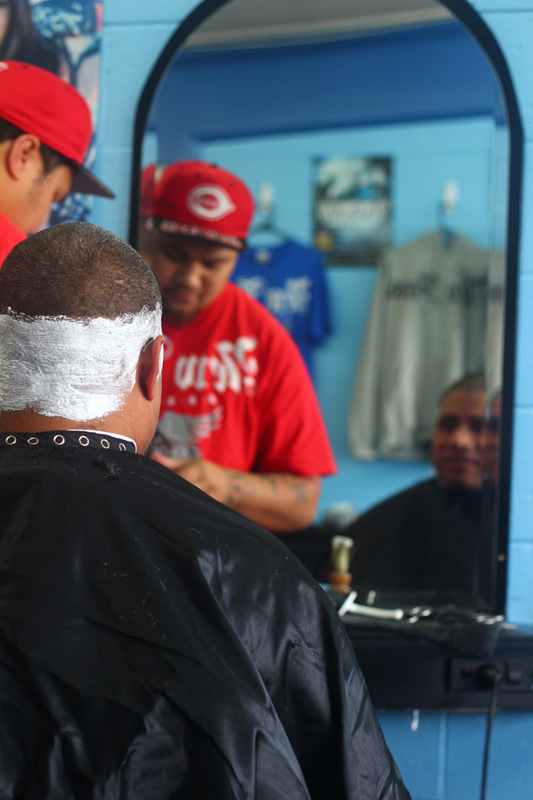 I always think it’s awesome to see young polynesian men doing it for themselves & to see them recognising their own skills and getting to the point of being able to run & own their own business. I decided that next time I took the kids in for a cut that I’d ask him if I could feature him. Wait! Correction – I’d get my cousin who knows him really well to ask in case Allans thinking who is this Blues Clues chick lol! 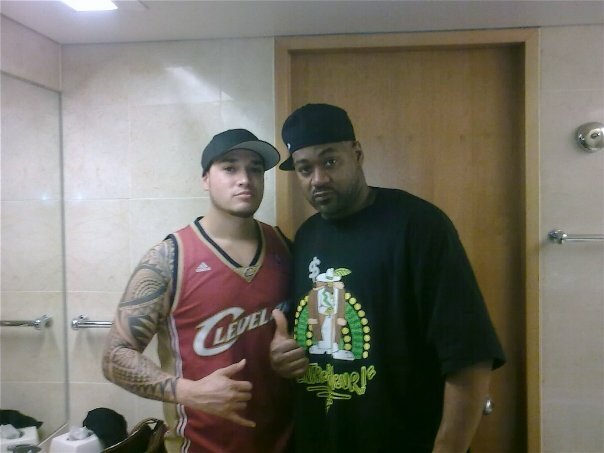 Shouts to my cuz Jacob Yandall who just happens to be Allans brothers best mate and hooked up the interview. Thaaaanks Jake!! Me: What ethnicity are you & where did you grow up? Me: What schools did you go to? 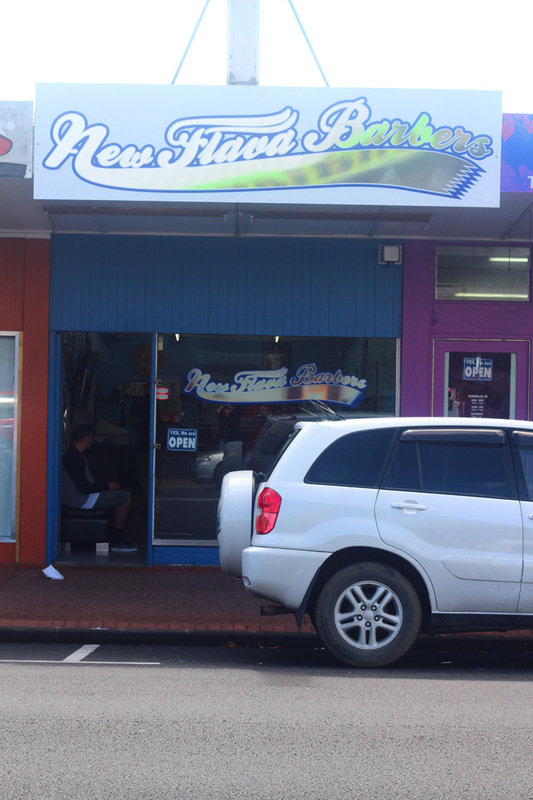 Allan: Wymondley Primary school to Papatoetoe Intermediate and then Otahuhu College, I also went to school in Sydney after Otahuhu College, the schools were Punchbowl Boys High & Belmore Boys High. Me: So how did you get into the hair cutting business? 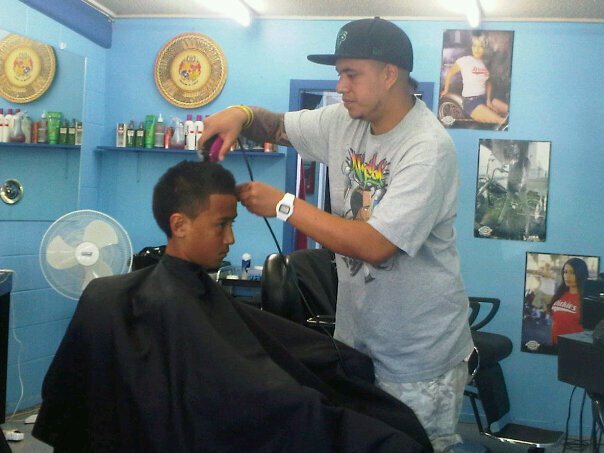 Allan: I just started cutting at home and stuff really, like when I was young probably in Intermediate, started with all the family cos … no money to go to the barber shop so they needed someone to cut it aye? in our area. Me: What gave you the push to make it a career? Me: What gave you the courage to start your own business? 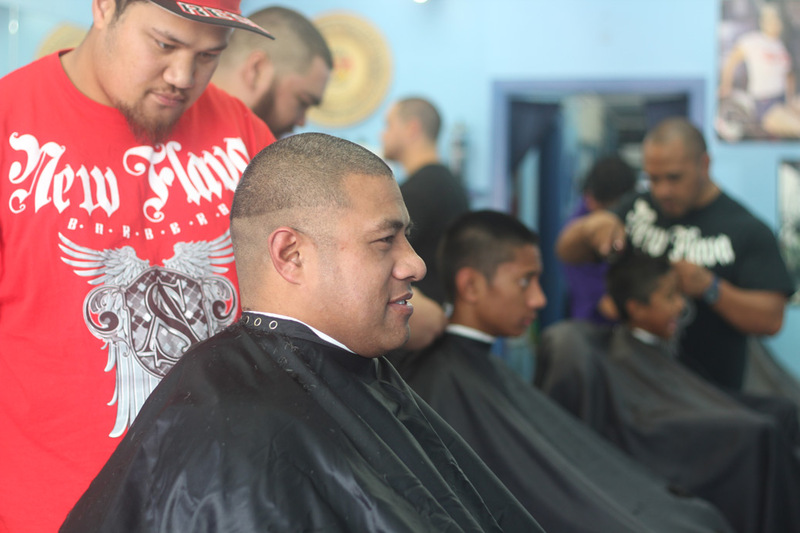 Allan: Just years of doing it I suppose, after a while of cutting for someone else for maybe 7 or 8 years & eventually you know, you build up your own clientele and skills and you think you can do it for yourself and you can probably make a bit more money if you’re working for yourself too. So yeah, had to save quite a bit but start small you know and eventually you’ll get there. Me: When you first got started did you have to do any courses in regards to running a business? Allan: Nah I didn’t do any courses but because I’d been working in it for so long I kind of learned it along the way and had a little bit of a mentor (an older guy) who helped me out a bit especially with the bookwork and stuff but thats about it. It’s good to know that stuff cos otherwise the business can go under if you don’t look after the books you know? So yeah, I look after all the bookwork. Me: How many staff do you currently employ and have any of the boys you’ve trained up, gone on to run their own businesses? Allan: There’s 5 of us cutting and one guy there is our sweeper. Yeah, one of the boys has opened their own shop and a couple of the others are cutting from home and doing their business from home so yeah, it’s been good. Me: Do you still cut yourself? Allan: Yeah, yeah, a lot of sweeping lately (laugh!) but yeah, still cutting – a few days a week I just cut. Yup Allan still cuts himself lol! Me: With the tees & hoodies that you sell in the shop – are those your own design? Allan: Yeah, they’re my own design, I just hook it up with a friend who does all the printing and we just sit there and design it ourselves. 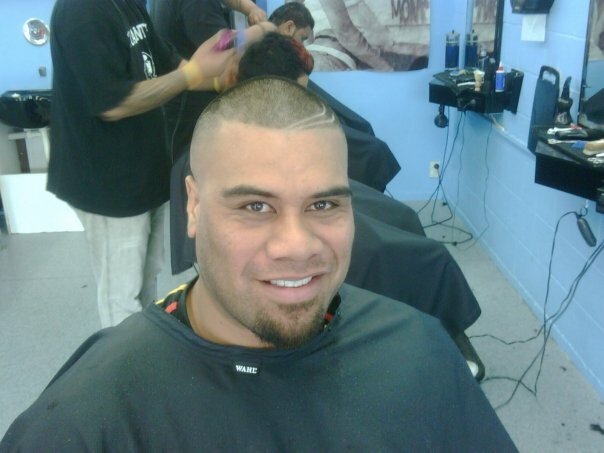 Me: How did the likes of The Game come to hear about you to get his hair cut? Allan: Just through people networking I suppose aye? 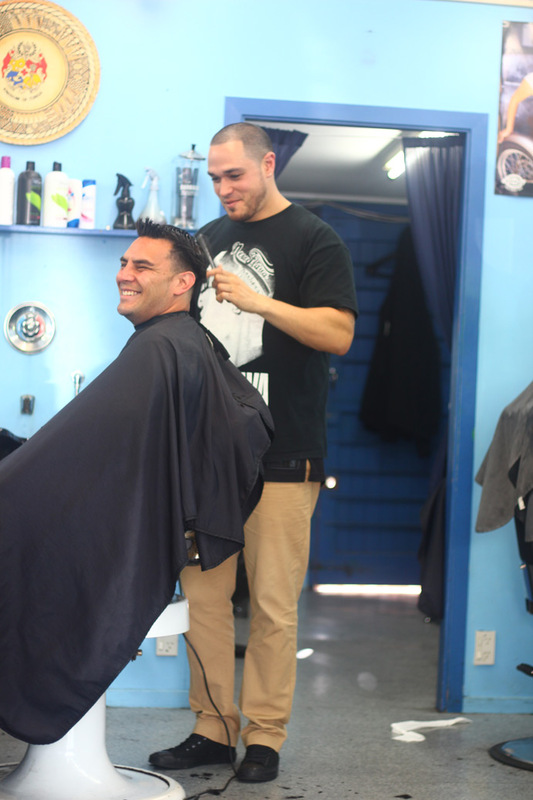 Just knowing people like I know a lot of the promoters that bring them over so usually if they’re wanting a haircut they’ll give me a call and yeah, whatevers easier for them – we’ll go to them or they’ll come to the shop just whatevers easier. Me: Have their been any big names that you’ve done that you’ve been really nervous about? Allan: Ummm not nervous, yeah, nah not really – you know us Southies play it down we don’t get too excited aye lol! Me: So any advice for anyone who’s looking at starting their own business? Allan: You’ve gotta have a passion for it and be good at it I suppose and stick to it through the ups and downs. If you’re good at it you’ll come through and it’ll be sweet. Me: And lastly I see you’re a Blues supporter in both rugby & league? Allan: Yeah, always been a Blues supporter, support anything Auckland and South Auckland and yeah, Blues for State of Origin, everything Blues, Blues even the shop lol! Haha shot! Blues supporter gewwwwwwwwd! 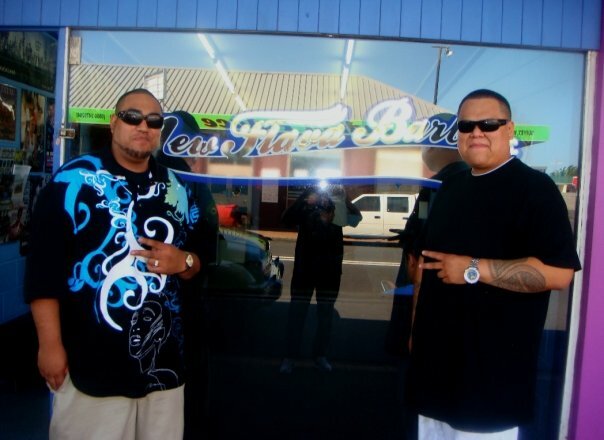 Almost 2 weeks ago, New Flava Barbers turned 7 years old on the 17th of October so Happy Birthday guys, heres to continued success and my kids and I say thanks for the great cuts & fades you & your barbers have given them over the years. I also just noticed that Allan also has some pretty amazing tattoos and recently got a piece that covers his whole back. Hands up who would like to see him featured in the Ink Series?! #yeeespleeeeease lol! 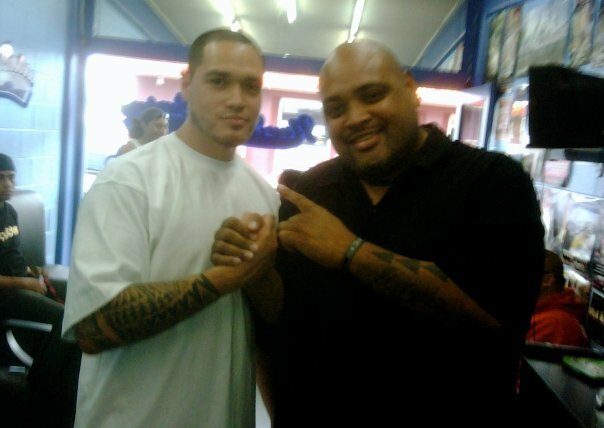 Yeah, might have to hit you up for your Ink Stories too Allan lol! Check them out on facebook here or follow Allan on Twitter. 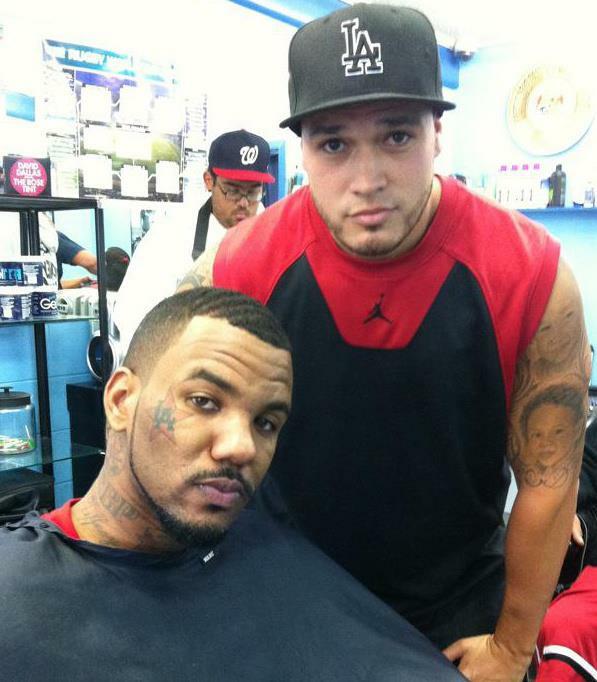 Peep some more pics of ‘famous’ guys Allans got to cut hair for below (taken off his facebook) ….. Mean read doi… Chur… Ago.